Are you sure you want to remove British Museum (Natural History). Dept . 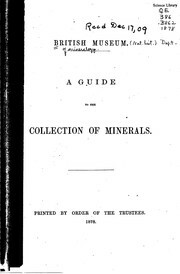 of Mineralogy from your list?